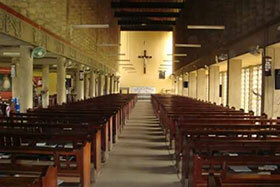 Welcome to the official website of the Seminary of Saints Peter & Paul, Bodija, Ibadan, Nigeria. The Seminary of Saints Peter & Paul is a regional seminary that trains candidates for the Roman Catholic Priesthood. The formation programme includes studies in Philosophy and Theology. As a regional seminary, Great Bodija, as it is called by those who in one way or another have experienced her products, caters for the training needs of the Ecclesiastical Provinces of Lagos, Ibadan and Benin City. However, the seminary also serves the training need of dioceses and congregations outside the aforementioned provinces upon request by local ordinaries or superiors who wish their candidates journey with and through us. 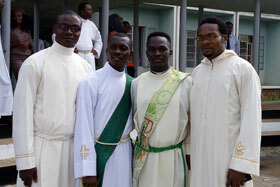 The training of future priests is the duty of both the clergy and the laity. Read various Articles on the teachings of the Church on Doctrines & Morals. Read Reflections on Daily Mass Scriptural Readings, more like an online pulpit. Get Answers to some Frequently Asked Questions on the Catholic Faith and Life. 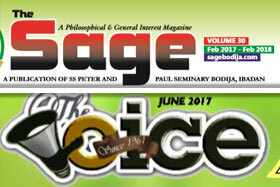 View various publications of the seminary such as Magazines, Journals, etc.